Raina has her hands full with pack problems, from pack mates succumbing to blood lust to animosity toward her species. The source of her problems is clear-the gargoyles. If they hadn't lured the humans to the island with their unconventional rock concerts, she wouldn't have to deal with the fallout. She wants nothing to do with them, especially their alpha. His not-so-surreptitious glances are hard to miss. Nope. Not the kind of attention she needs. She's heard rumors of the rebellious, attention-seeking rockers--and of their endless string of females. But when humans come to investigate the wolf attacks, Lachlan and Raina must work together to coerce them off the island. And time spent together sparks a forbidden attraction. But, time is running out, for them and their island. 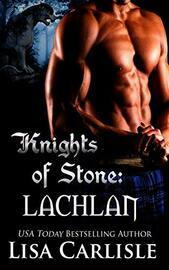 Escape to the Isle of Stone for this next chapter with the Knights of Stone. 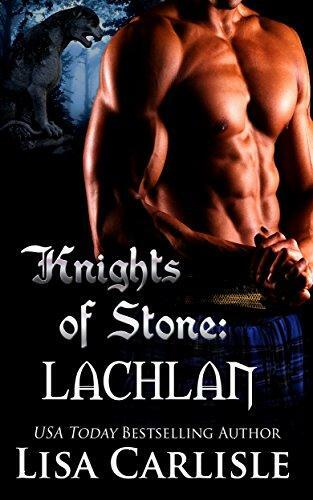 If you like fiery and forbidden romance and hot men in kilts, meet these five rebellious brothers today!